Collingwood City is a vibrant community based club in Richmond, close to Kew and Hawthorn, whose coaches are dedicated and passionate about developing their junior and youth players. We have established teams and specialised programs for girls and boys ranging from kinder, 6/7, under 8 through to youth and Seniors. We are the largest club in the City of Yarra and boast 6 girls only team with 100 female players in 2019. The club has reached a 5 start FFV rating! We are a modern progressive development club for players of all abilities catering for children from kinder, under 6/7 through to junior and youth development. The program’s aim is to allow children to develop and maintain a love of the game while while enhancing their development. 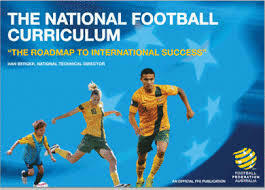 The program covers the basic fundamentals of football through to technical game training sessions.